How much did the harsh winter weather affect the U.S. economy in the first quarter of this year? We know that the economy, as measured by gross domestic product (GDP), contracted at an annual rate of 2.9 percent over January, February and March, the first quarterly decline in three years. But how were different industries affected and was weather a factor? New data released today by the U.S. Bureau of Economic Analysis provide fresh insights on that front. Severe weather conditions can have both positive and negative (although mostly negative) effects on the Nation’s economic performance. For some industries this is intuitive, like “agriculture, forestry, fishing, and hunting” and “construction;” for other industries, like “mining,” and “nondurable-goods manufacturing,” the link may not be as intuitive. 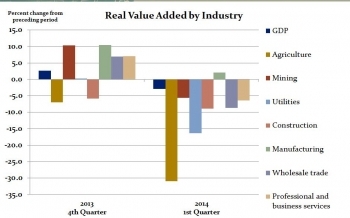 Real value added —a measure of an industry’s contribution to GDP—for agriculture, forestry, fishing, and hunting declined 31 percent in the first quarter, reflecting a drop in the production of farm-type products, including livestock and dairy. Construction fell almost 9 percent, reflecting a notable decline in nonresidential construction activity that began in January and continued through March; unusually cold and wet weather hampered construction activity. Perhaps somewhat surprising, the utility industry also contributed to the decline in GDP in the first quarter. While demand for additional utilities, for example electricity generation, was evident with the severe winter weather, a surge in the costs of the inputs used by the utilities industry—things like energy, materials, and purchased services used in the production process—caused real value added to drop over 16 percent in the first quarter. 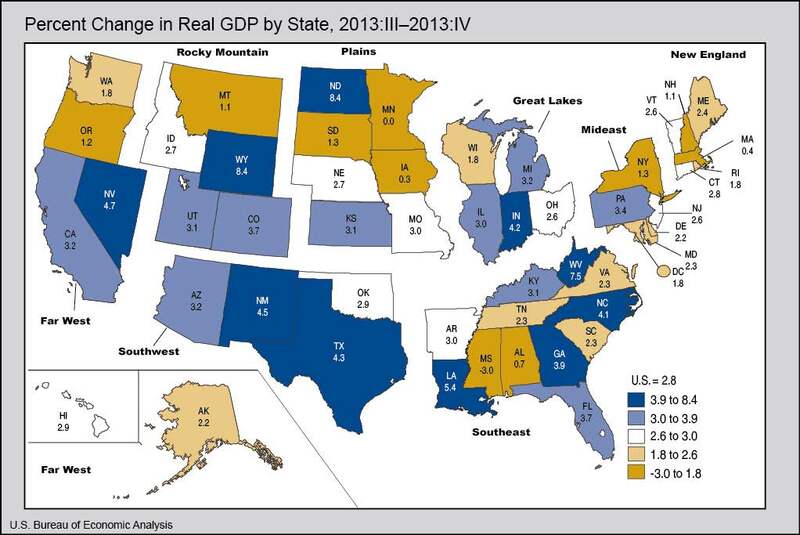 Developers, do you want to bring more detailed economic data to your next app? The Bureau of Economic Analysis (BEA) recently added several data sets to the application programming interface (API) we launched last year. The API now provides direct access to the gross domestic product (GDP) underlying detail tables. Those tables contain a wealth of statistics, including how much consumers spend on hundreds of items like furnishings, food and flowers and how much revenue the government takes in and spends. Other newly added data to the API are BEA’s national fixed assets, which include statistics on fixed assets like factory equipment, buildings, intellectual property and durable goods for consumers. The new additions give you the ability to create an even richer, customized economic dashboard of your own. The new data sets join BEA’s GDP and related national economic statistics and regional economic statistics, which have been available via API since the service launched in May 2013. In addition to expanding the amount of data available on the API, BEA published an updated User Guide, making it easier for developers to start using the service. BEA’s API allows developers to build a service to search, display, analyze, retrieve, or view BEA statistics. For example, you can create a “mashup” that combines BEA data with other government or private data sources to create new services or give your users a different perspective on their communities. Or you can design a tool that gives your users new ways to visualize economic data. To use the API, you need to register first. Full documentation is available in the updated API User Guide. As the U.S. population has changed dramatically since 1940, so too has the U.S. economy. Just a few years prior to the 1940 Census, in 1935, employees of the Department of Commerce and the National Bureau of Economic Research created what we call the National Income and Product Accounts (NIPA), a comprehensive set of economic accounts for the nation that provides unparalleled insight into the workings of our economy. Let’s take a quick glance at the NIPAs and see how things have changed over the last 72 years. One commonly used measure of standards of living is GDP per capita—the total output of the nation divided by the population. 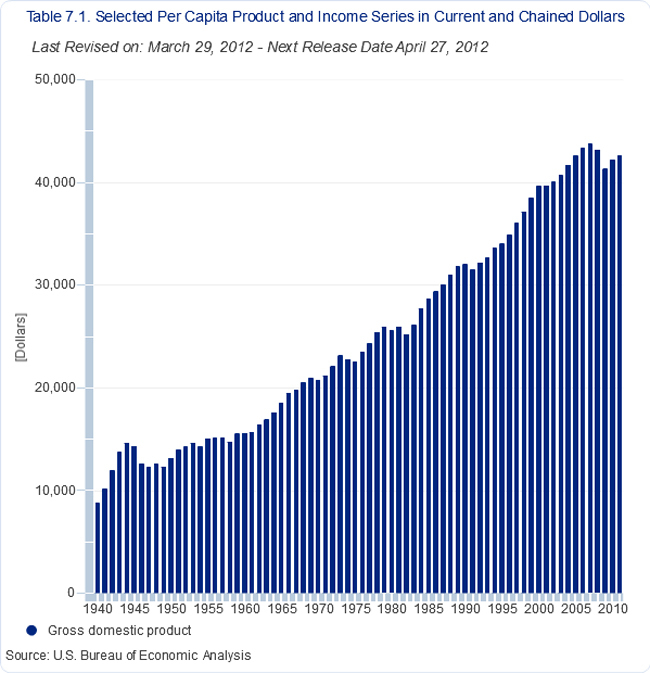 Looking to national accounts table 7.1, we see that in 1940 U.S. GDP per capita was $8,824 in inflation-adjusted dollars. By 2011, it had increased nearly fivefold to $42,671. Over that period, the structure of the economy changed with services accounting for an ever increasing for spending. In 1940, consumer spending on services (everything from haircuts to heart surgery), according to NIPA table 1.1.10 accounted for 30 percent of GDP. 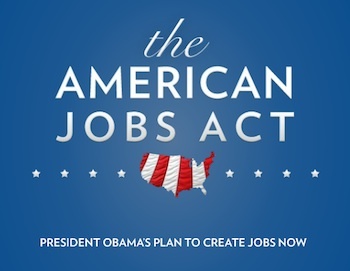 By 2011, it was 47 percent—nearly half of economic activity.